Many people are either not aware, or they assume that dental plans and dental insurance are the one and same thing. This is a very popular wrong notion which people have. These two things differ largely on the basis of the coverage they provide, and the process followed by each is also very different. If you are planning to get dental insurance or a dental plan, you should first understand the basic difference between the two. This will help you buy the one which best suits your requirements and thus saving you a lot of wasteful investment. • In the case of dental plans, you first pay for the services you want to go for. This makes things easy for both you and the dentist, as both the parties are paid immediately. Neither have to wait for the approvals like it is in the case of dental insurance. • If you take a dental insurance you have to first spend the money from your pocket and then it gets refunded to you once it is approved by the insurance company. Dental plans are less complicated as you get the predefined discounts immediately and do not have to wait for approvals or other paper work, like dental insurance. • You can easily get a dental plan. You do not have to go through any test to prove that you do not have any preexisting condition. But in the case of dental insurance, you first have to get some tests done and get an approval from an authorized dentist stating that you do not have any existing conditions. You have to bear all the expenses of the tests initially. Later on you will have to follow a long procedure, which involves a lot of paper work to get the money refunded. 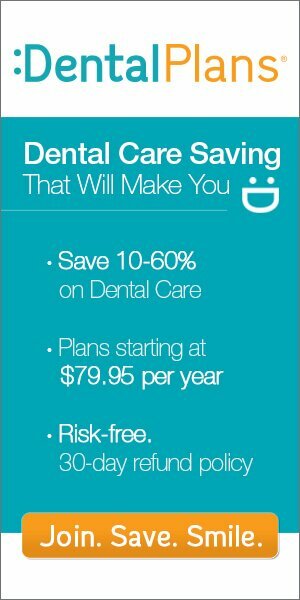 • Dental plans have low fee rates as compared to dental insurance. There is also no cap on the spending as you pay for the services you take and that, too, is at a discounted rate. • Dental insurance is guided by strict instruction and policies on what they would cover. The process they follow to refund the money is a lengthy one. First they verify the bills and other documents you have submitted and then they check other details. The entire process takes a long time and many a times you also do not get the entire amount refund because your spending might be out of their cover. • The dental plan helps you to get routine as well as advance dental treatment at very reasonable prices. Usually for the routine treatments you can get up to60% discounts and when it comes to the advanced treatments you can still get a 50% discount. Benefits of dental plan are more than a dental insurance. Probably this is the reason why dental plans have become more popular than dental insurance. You can check out dental plans by clicking here.